Thursday is National Pepperoni Pizza Day and chains are offering discounts for meat lovers. Participation may vary. 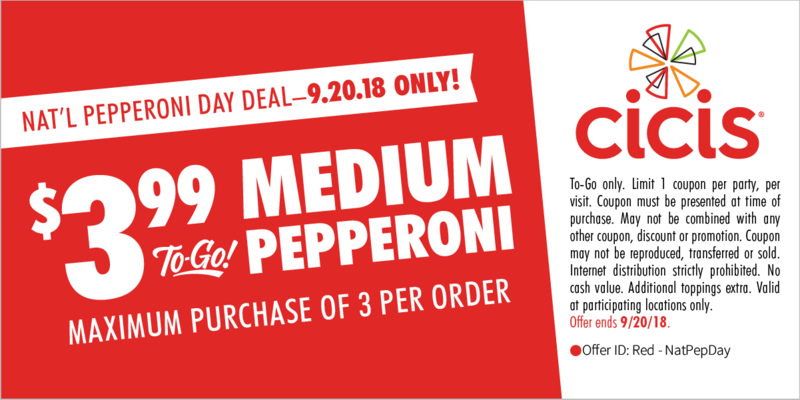 $3.99 for medium pepperoni pizzas to go with a coupon . The limit is three per order. The ‘Mix and Match’ offer will get you two or more pizzas, bread bites, chicken wings and more for $5.99 each. The 5 Meat Feast pizza is $9 for takeout orders. The code PAPATRACK will get you 25 percent off any regular-priced pizza online. Buy any large pizza and pay $1 for a medium pepperoni pizza with the code PEPPERONI2018.